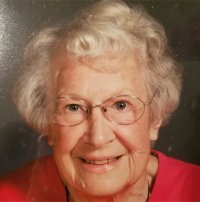 Bernice H. Whiteside, nee Fischer, 94, of Swansea, Illinois, born Saturday, January 10, 1925, in E. St. Louis, IL, passed away Sunday, January 20, 2019 at Caseyville Nursing & Rehabilitation Center in Caseyville, Illinois. Bernice worked as a Legal Secretary for Gray and Ritter Law Firm. She was a former member of Peace Lutheran Church in Belleville, IL., Queen City Chapter #697 O.E.S. Past Matron 1961, Calhoun Chapter #990 O.E.S. of Hardin, IL. 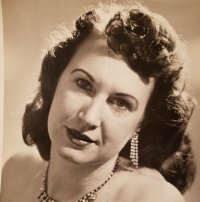 She was Past Grand Ruth of Illinois and served as a Grand Lecturer for many years. Visitation: Visitation from 4:00 pm – 8:00 pm, Wednesday, January 23, 2019 at Kurrus Funeral Home in Belleville, Illinois wit an O.E.S. Service to be held at 7:00 pm. Funeral: Funeral service will be held at 11:00 am, Thursday, January 24, 2019 at Kurrus Funeral Home. Interment will follow at Lake View Memorial Gardens, Fairview Heights, Illinois. I love you so and will miss you. Cousin Howard Gene. Our entire family extends sincere sympathy to Dennis and all who so loved Bernice. We know that with her memory there will always be a special glow reflecting the spirit and true meaning of Christmas, the day she celebrated in her heart and mind every day of the year. Our entire family extends sincere sympathy to Dennis and all who so loved Bernice. We know that with her memory there will glow the spirit and true meaning of Christmas, the day she celebrated in her heart and mind every day of her life.